I went hunting this evening. I didn’t see anything until about 4:45, when I heard the leaves been churned up to my left. I have the left window on my blind zipped up, because that window points up in the woods where the deer can see me if I move. I have the blind right on a well-used game trail, and I knew it would be just a matter of time before the deer thrashing around in the brush to my left trotted out in front of me. A little doe soon trotted out, and she was followed by a six-point buck. He availed himself to me, and I took the shot. 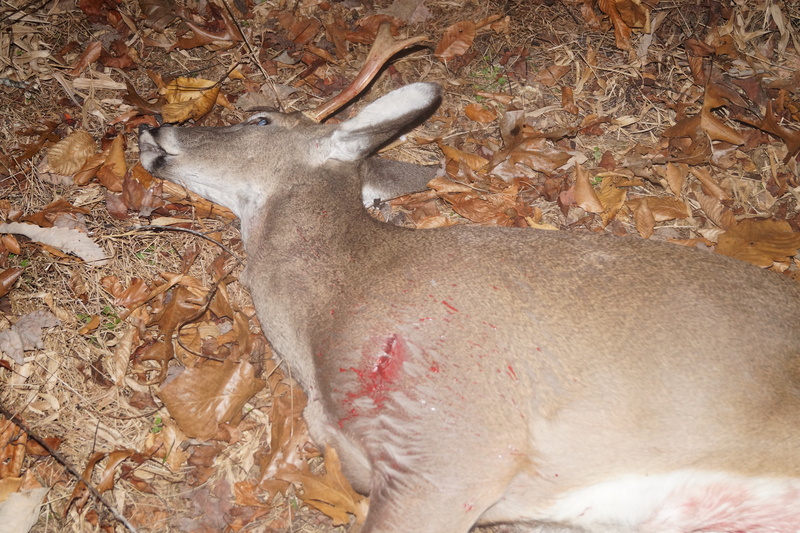 I aimed for the heart, but I he must have moved just as I pulled the trigger on the crossbow.But the rage broadhead still went through his heart. He ran less than a hundred feet before he dropped. As my dad and I dragged him out of the brush, we came across a big ten-point that was tracking the doe that the six point had been tending. While dad went to get the tractor, the big buck came back and circled me. I snort-wheezed at him, and he stopped and tried to wind me for a few minutes. He then marched into the nearest thicket and began rubbing his antlers against the trees. I had taken out a little weenie that he’d have to beat up tonight. 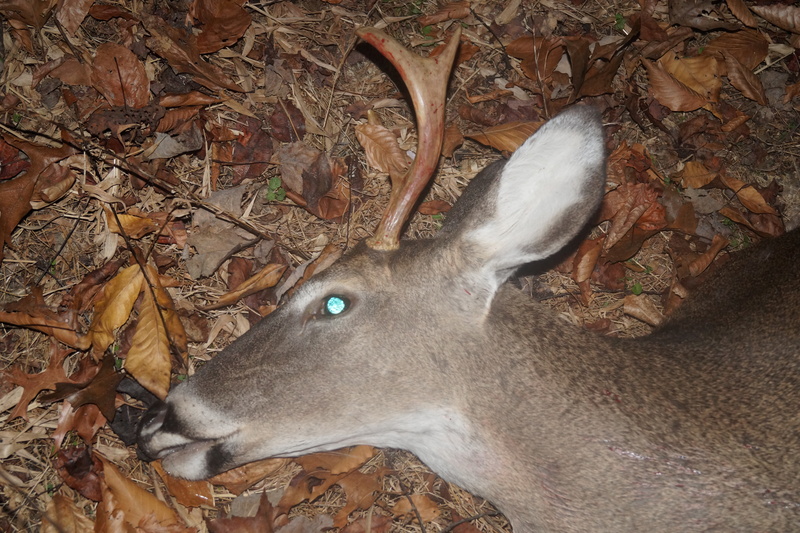 I can’t go deer hunting again until Thanksgiving week, when the rifle season comes in. So the big one is safe. 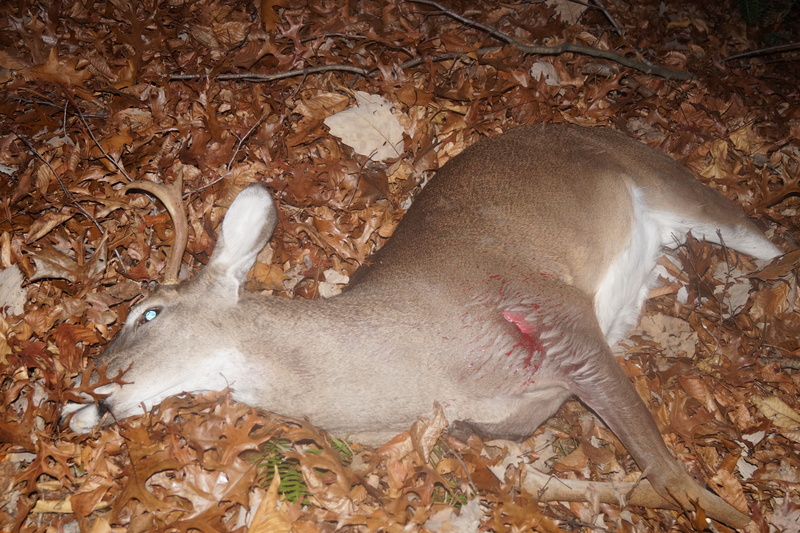 But this is still a nice little buck.